I’ve been a huge fan of InWorldz — especially the Founders — for a long time. I still am. But priorities change; mine have been changing a lot in the last couple of months (especially in the organic mode), and there’s only so much one can write off the personal ledger as “entertainment expense”. So, reluctantly, I emailed both support and accounts to say I wouldn’t be renewing tier. I’m not capital-L Leaving InWorldz — far from it. Too much cool stuff goes on there. But, it pains me to admit that I’ve had builder’s block ever since the Gothic chapel… and frankly, after going through the exercise of changing all the sales graphics to the new logo (including re-shooting some of the builds), I lost all interest in pursuing the business. Finally, keeping a sim I wasn’t using stopped making sense. So, everything’s in my inventory except what you see above: the house, a couple of accessories. I made an Export file of the observatory before taking it… it may show up in West Harbour soon. I’ll be going back one last time tonight to grab what’s there. Praxis will probably be off the grid some time tomorrow. Be seeing you, in SL. Fortunately, nothing bad… in fact, pretty much the opposite. The best part is, I finally have a “real life” outside of work, which includes dating a brilliant lady of my own age, proclivities, and manifold interests. Thus, I’m not haunting the virtual scene from Saturday afternoons through Sunday mornings as I once did… which was also the time I could most likely be found concocting a blog post. But, no worries… you’re not rid of me yet! I’m merely having to re-apportion my time as priorities change. I did manage to go out and spend a big wad of both L$ and Iz’s on autumnal foliage (results above), just as the trees here in central Indiana are beginning to turn. Now I need to convince Ches and Zha not to change Harbour over to winter in a couple of months… Praxis, being solely mine, will probably stay stuck in Fall, at least until Spring. Typical party scene above, no big deal, right? 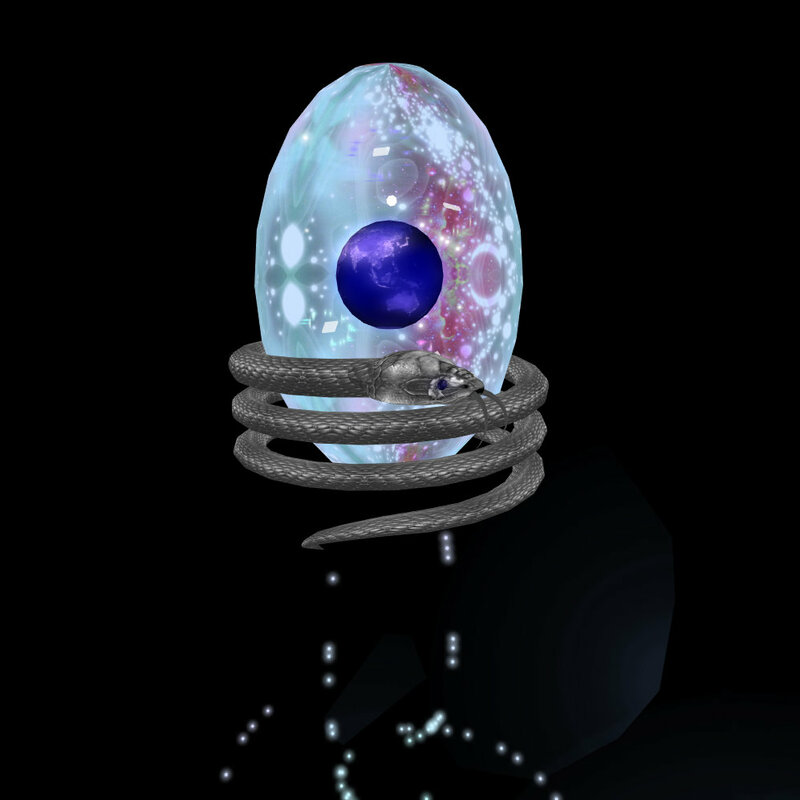 Ah, but it was a very big deal — it was a live beta test of InWorldz’ new script engine (dubbed Phlox by its main author, Tranquility “Tranq” Dexler) on the Birthday sims. Last week, I noted the gawdawful lag one had to fight to move anywhere, let alone see the displays, and lamented, “Too bad Phlox was too new to try out here…” I won’t claim credit for putting the idea into the collected heads of the IWz folks, but they did do just that, this past Friday, and invited everyone to give it a try. A week ago, the rubberbanding was on the order of “fours steps forward, three steps back, repeat”. Flying was no better — although I should add that sim crossings have never been a problem for me in InWorldz, even pre-Phlox. After getting the word through Twitter that Phlox was being rolled into the Birthday regions, I decided to re-trace the path which winds down and around through all four sims, from Time Capsule Plaza to the party venue. The result: NO rubberbanding, not once — not even in region B, where the number of visibly moving prims implies the heaviest script load. I had the Stats window open while strolling down the lane; time dilation never went below 0.95, and stayed solidly at 1.00 once I got to the party space. Mind you, my frame rate was down below 10 fps for most of that… but I attribute that to the number of textures my viewer was trying to load, not the server. I can keep graphics set to Ultra almost anywhere without a problem (even in SL! ), but this was stretching the limits — not of my hardware (AMD quad-core; Radeon HD 6800 vid card) but of the bandwidth and the viewer’s capacity to render it in a timely fashion. 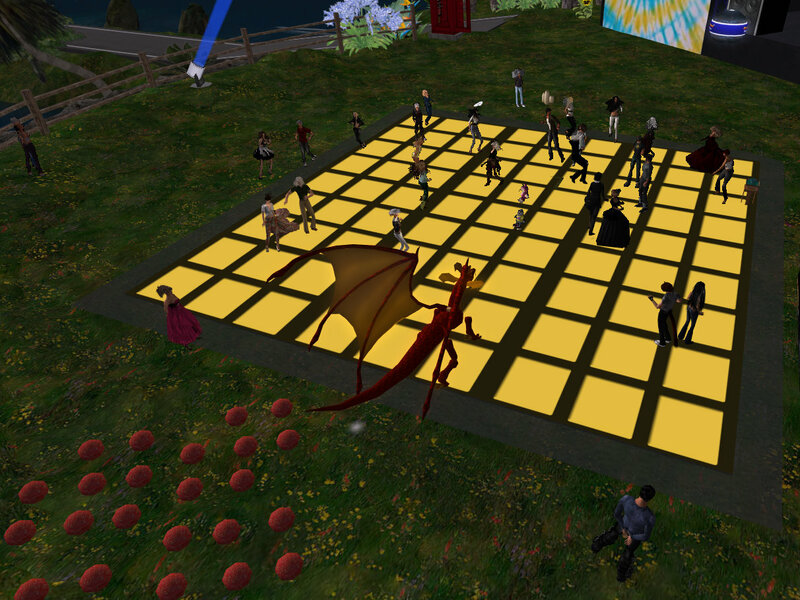 Before I left, the party had drawn a peak of 37 avvies to the sim, many of whom brought additional scripted goodies to push Phlox’s envelope, with no noticeable increase in lag. I’d call that success, and solid grounds for congratulations to Tranq, Legion, Jim, and whatever other InWorldz Code Monkehs were in on the Phlox project. As of this morning, I don’t know when Phlox will be officially declared “out of beta” and rolled to the remaining InWorldz servers… but I’m anxious to have it working at home, as well as out in the commercial regions — it’ll be so much easier to go shopping. This is usually the part of the blog wherein I make some attempt at editorial comment, and the subject of “proprietary” revisions to OpenSimulator code certainly is ripe with possibilities. One camp adamantly insists that all improvements to OS server code be folded back into the overall effort; those are the ones who chastise InWorldz for not staying “in the fold”. The other camp points out — correctly, IMO — that the folks who own and run InWorldz are not sheep. As far as I know, there is no contractual obligation, either implied or explicit, to “give back” when using open-source code under license. Whether or not there’s an ethical obligation… well, let me put is this way: righteous indignation and strident insistence that my behavior conform to yours for no more compelling reason than you said so is not effective persuasion. Meanwhile, instead of give-back, I consider what InWorldz is doing with Phlox as “paying it forward,” to their customers — that is, people like me who are pleased to pay them indirectly for the work they do to improve conditions on the regions we lease…. people like me who appreciate every minute of the code-grinding that got them the results we then enjoy. It will, no doubt, be interesting to see what the InWorldz team decides to do with Phlox beyond implementing it in their own world… Will they offer it up to the larger OS community? Will they sell it to Linden Lab, who sorely need something like it, but who really ought not to get it for free? Whatever they decide, I trust them to always have the best interests of their own world, and the people in it, on their minds.